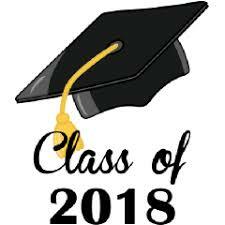 Our annual Valedictory Ceremony will take place on Saturday, June 9, 2018 at the Chan Centre on the University of British Columbia campus. Tickets for family seating will be made available according to the schedule below. There will be limited seating available due to our large graduation class and therefore, very few extra tickets will be available to purchase. It is very important that you collect your tickets on the date/time scheduled. Tickets that are not picked up on the day assigned will be sold on Friday, June 1. Each grad who has paid their grad fees will receive two guest tickets. The cost for each additional ticket is $10.00. PLEASE NOTE - STUDENTS ARE NOT ALLOWED TO RE-DISTRIBUTE NOR RE-SELL THEIR TICKETS. IN FAIRNESS TO ALL GRADS, ANY UNCLAIMED OR UNNEEDED TICKETS WILL BE MADE AVAILABLE TO OTHER GRADS ON A FIRST COME, FIRST SERVED BASIS. THIS IS NOT A CONCERT. Students with last names between A to L will pick up their 2 complimentary tickets and will also be able to purchase 1 additional ticket on this day. Students with last names between M to Z will pick up their 2 complimentary tickets and will also be able to purchase 1 additional ticket on this day. 1 additional ticket may be purchased on a first come basis on this day, if available. Should there be extra tickets available after this day, additional tickets may be purchased from Mr. Fitt starting June 4.